I believe it was because of my sense of relief and delight at Burbong—the horses, the gum trees, the grassy paddocks, the sheep, the feeling that I had returned to what I recognized as Australia— that I allowed myself to end up in front of the camera again. If nothing else, I think this photo of me with Ray and Rhuben suggests that I was certainly having a good time. The general goal for my trip was to try to see everything that related in a significant way to Australia, past and present. Australia, which has a long and strong scientific tradition, has always had a part in the space program, including a long association with NASA. (Australia also seems to be where a substantial amount of space junk—such as SkyLab—crashes back to earth when it wearies of the heavens.) So I’d thought I’d go visit the Tidbinbilla Space Tracking Station at Canberra. However, I think God knew I needed to get out of town, so the space tour was cancelled, and I was offered a visit to a sheep station instead. As it turned out, my initial disappointment turned to relief and joy. Burbong was just what I needed. 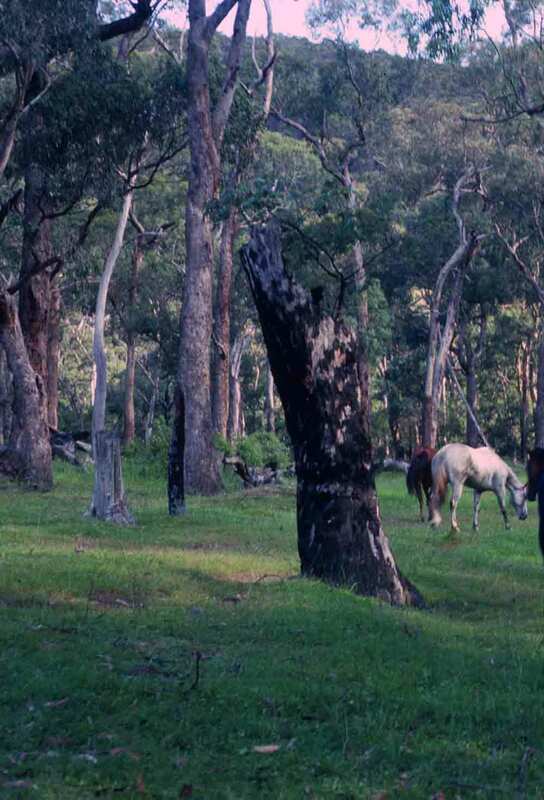 Suddenly, I was surrounded by fields and gum trees, horses and dogs, people in oilskins instead of pin-stripe suits. And kangaroos dropped by for tea. I was in heaven. The photos below show a bit of what I enjoyed that day. 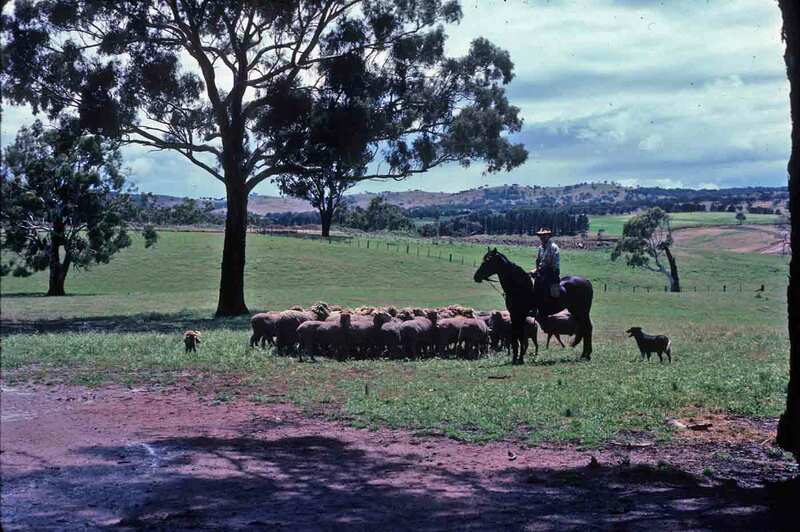 You can see one of the station owners, Rhuben Colverwell, on horseback, with his dogs rounding up sheep for shearing. 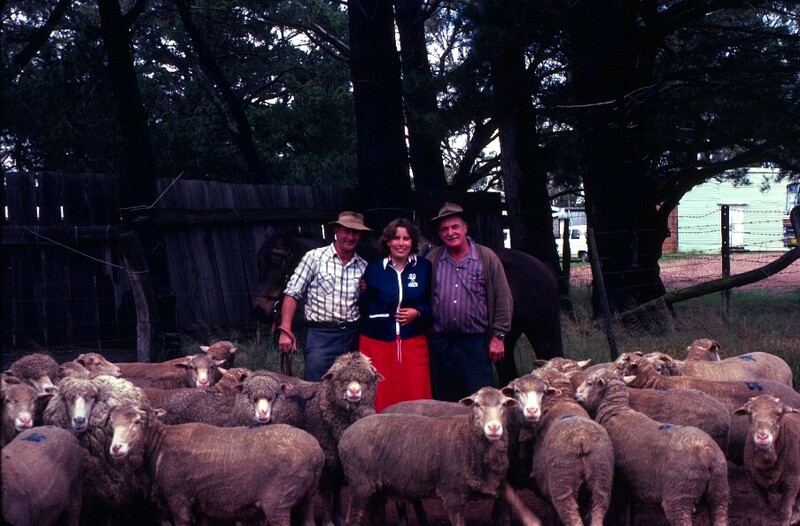 The other owner, Rhuben’s brother, Ray, is shown shearing one of their big Merino sheep. 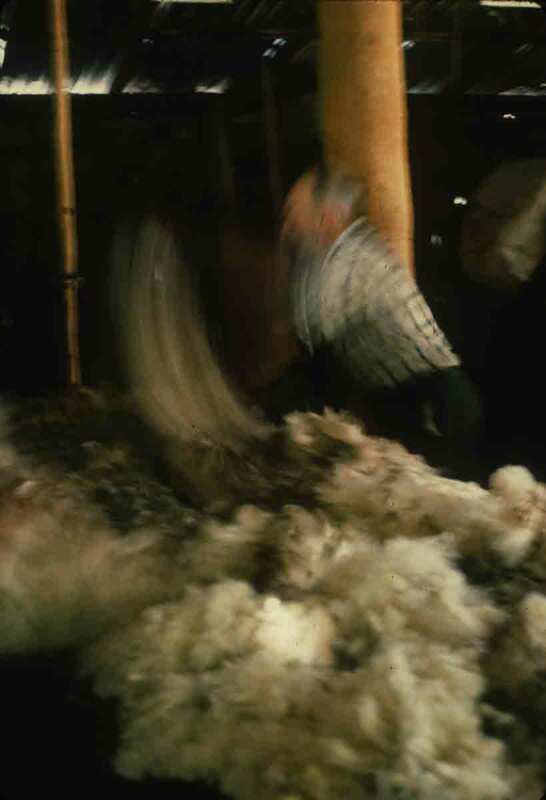 The blur of Ray spreading out the wool gives some idea just how much wool comes off one sheep. And that’s just one year’s growth of wool on one sheep. 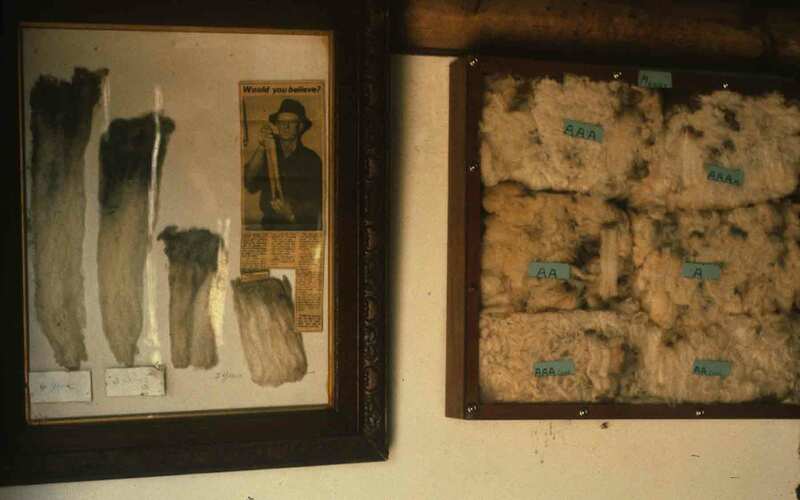 The final image shows different grades of wool and, on the left, how much the wool grows each year. The shortest clump of wool is one year’s growth. The longest clump of wool is four year’s growth. That four-year growth is only seen on a sheep that gets lost, as an owner would never let a sheep go that long without shearing. If it rained, that much wet wool could smother the sheep. One more year’s growth, and just the weight of the wool would overwhelm the creature. 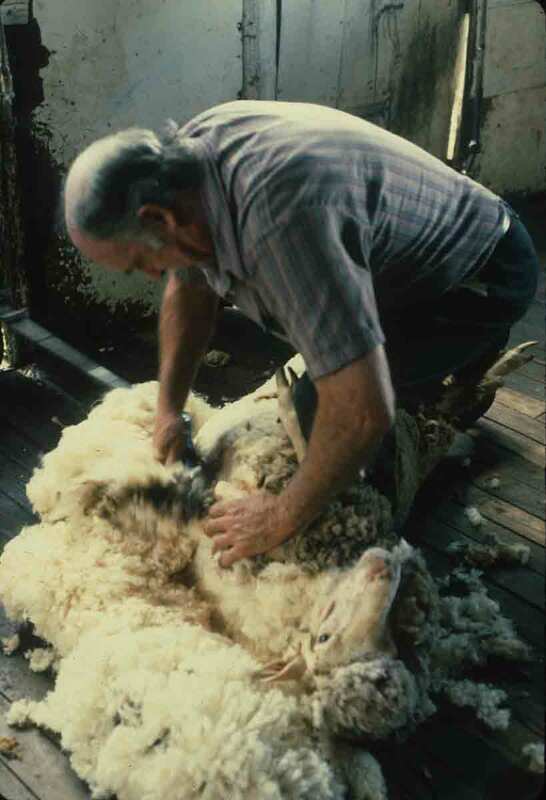 These sheep need to be shorn—it’s not just nice wool for the shearers, it’s a matter of life and death for the sheep. Lest folks in Canberra take exception to my comments about the city not feeling real to me, I do want to point out that I have stated, both on the blog and in my book, that my lack of connection was likely due to exhaustion and a too-sharp contrast with where I’d just been. I was still recovering from injuries sustained on the riding trip, had become quite ill in Tasmania, and had followed the two camping trips with an overnight on the bus. Plus, I had become so completely besotted with Australia’s abundant wilderness, it was a real shock to be surrounded with so much stone and so much that was man-made. Even the lake is man-made. Canberra is, as I noted previously, impressive and handsome. The buildings are all wonderfully modern and the monuments are imposing. I was just too depleted to make the emotional adjustment. As a point of contrast, below are photos of where I’d been before Canberra (the mountains in Victoria) and a scene near my hotel in Canberra. So there’s nothing wrong with Canberra. I just wasn’t prepared to be there. Should I have the chance to return, I’m certain my experience will be different. However, that said, it’s not really the kind of environment for which I happily spend 24 hours in flight. We have big cities here. I make that trip because of the wilderness, the small towns, the rural areas. I still thought Canberra was worth visiting. 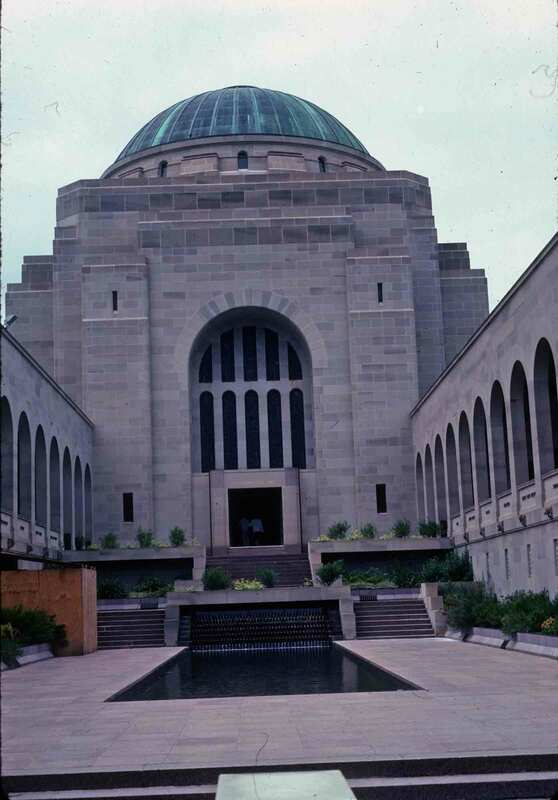 I enjoyed seeing embassies and monuments in Canberra, but the single best thing the city had to offer, as far as I was concerned, was the Australian War Memorial. This is not, as the name might suggest, simply a structure in honor of the valiant fallen, though that honoring is present. 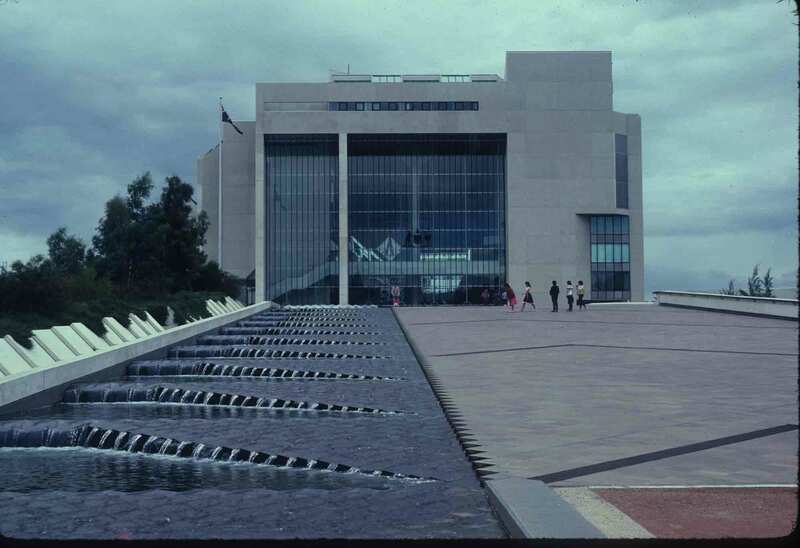 This edifice is also an astonishing museum, art gallery, library, and repository of nearly everything that has touched the country from every war since Australian federation—hundreds of thousands of documents and tens of thousands of relics. It is said that one could spend days there, though I had to settle for hours. The stories recounted in the museum—in paintings, dioramas, and tableaux—range from heart-warming to heart-rending. If you’ve got my book, you’ll know the ones that touched me most. But there were so many that were moving and worth knowing. I know, of course, that not only Australia has been touched by war, but there is a universality in suffering and heroism that makes the stories haunting. In addition, few other than Australians tell the stories of Australian participation in the wars of the last century or so, and it is good to realize how involved Australia was in most of the wars that also touched the United States—and often involved long before the U.S. entered the wars, as was the case in the two World Wars. Amazing history. The trip to Canberra was worth it for the Australian War Memorial, even if there had been nothing else. 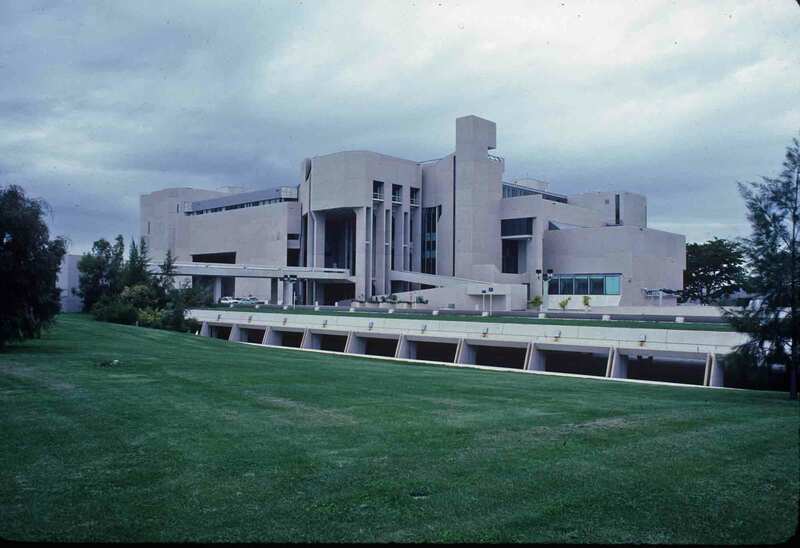 Canberra really is a handsome, imposing place and a most suitable home for a federal government. However, I was operating at a distinct disadvantage while I was there. I had just the day before arriving in Canberra finished a camping tour around Tasmania, and before that, I’d spent a week crossing the mountains in Victoria on horseback. I was decidedly in “nature” mode. As a result, the stunningly modern and totally artificial capital required a considerable amount of readjusting—and that wasn’t easy, as I was also weary and quite sick. However, that didn’t slow me down much, and I charged about, seeing Canberra with dazed and slightly disoriented diligence. That’s not to say I didn’t have a good time. I did. There were wonderful things to see. I just didn’t connect with it on the same level I’d connected with most other places in Australia. I got a bus pass and spent a day cruising around town, checking out important buildings. 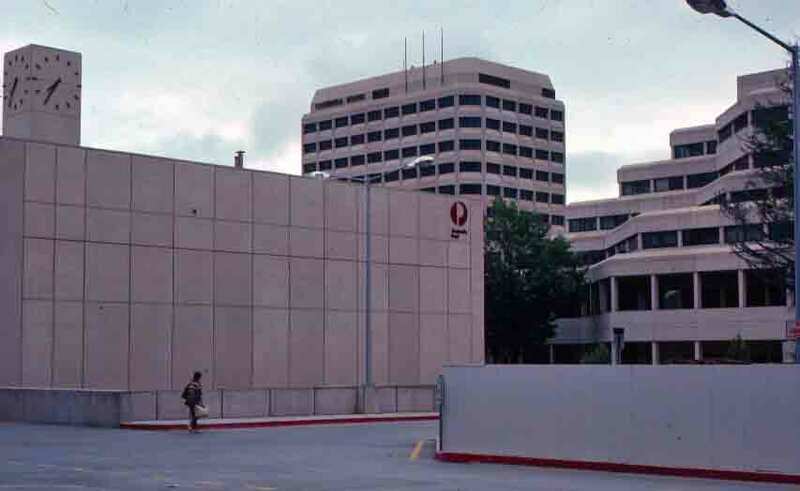 Two of these impressive structures are shown below. On the left is the High Court of Australia. On the right is the National Gallery. I admired the first from the outside, but spent several hours appreciating the second from the inside, as it is home to an impressive international art collection. If you’re reading the book, you’ll know that, after a bit of a mad dash and an overnight bus trip, I found myself in Canberra. Canberra is the federal capital of Australia, located in the Australian Capital Territory. As is common among capital cities, there are lots of monuments and embassies, imposing buildings and national museums. Those of you who have been with me for a while will likely remember that I’m a big fan of Captain James Cook. I posted about him in the early days of the blog: Captain James Cook. Not far from my hotel in Canberra, there was an impressive monument to this first surveyor of Australia’s coast. 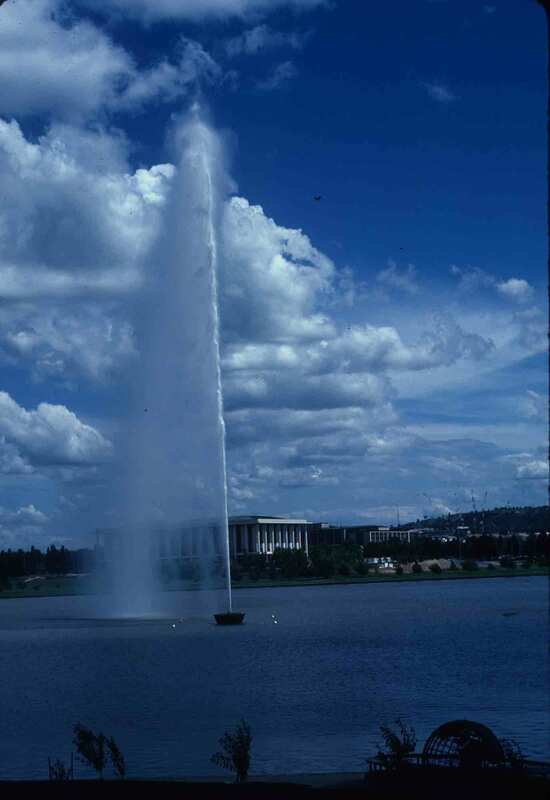 The Captain Cook Memorial Water Jet rises gracefully out of Lake Burley Griffin, arching against a backdrop of blue sky and white buildings. I wondered for a moment how this commemorated the great explorer/scientist, but then I noticed a large, black, metal globe nearby, where all three of Cook’s long, astonishing, world-changing voyages are outlined. In the photo below, while the water jet dominates, you can see the globe toward the bottom right. With Tasmania behind me, I was headed next for Canberra. But I thought I’d interrupt the flow of the tale to insert links to a few guest posts I was invited to submit to other blogs. The first one is about why writing longhand is not merely a virtue, but a useful tool in the writer’s arsenal. The second is about why one needs to look things up. Of course, the real reason is so people don’t simply dismiss your writing because of the errors. But here are some examples. And finally, here’s one on delighting in writing. Hope those of you who are writers find something useful and/or encouraging in these.